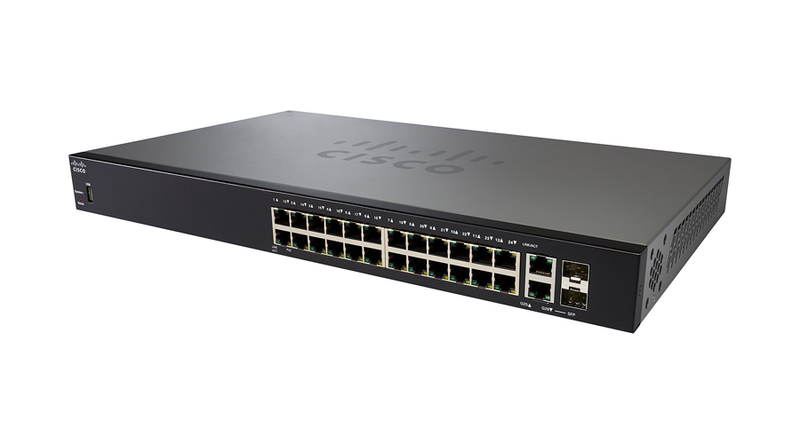 The 10-port compact models of Cisco 250 Series can work as PoE powered devices and draw power from upstream PoE switches in the wiring closet, simplifying the deployment in meeting rooms, classrooms, hotel rooms, and other flexible locations. Each switch can accept up to 60W of power per uplink port to power itself and pass through the power to the downstream PoE end devices if needed. Cisco 250 Series switches provide the security and network management features you need to maintain a high level of security for your business, keep unauthorized users off the network, and protect your business data. The switches include integrated network security to reduce the risk of a security breach, with IEEE 802.1X port security to control access to your network, Denial-of-Service (DoS) attack prevention to increase network uptime during an attack, and extensive Access Control Lists (ACLs) to protect sensitive portions of the network from unauthorized users and guard against network attacks.